We are listing the yacht for sale. Just can't organize the time to use her. I must say that Averisera was a great ride and everyone who sailed with us was an important part of the adventure. Thanks. 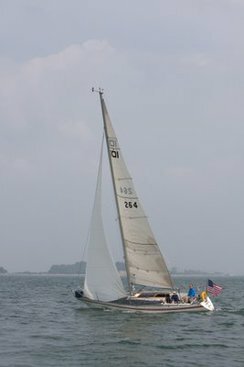 Check the sales information at SailBoatListings.com. More information about the Aphrodite is shown at sailboatdata.com and aphrodite101.info. A search of images for the class yields some nice pictures, Averisera is in there, too.